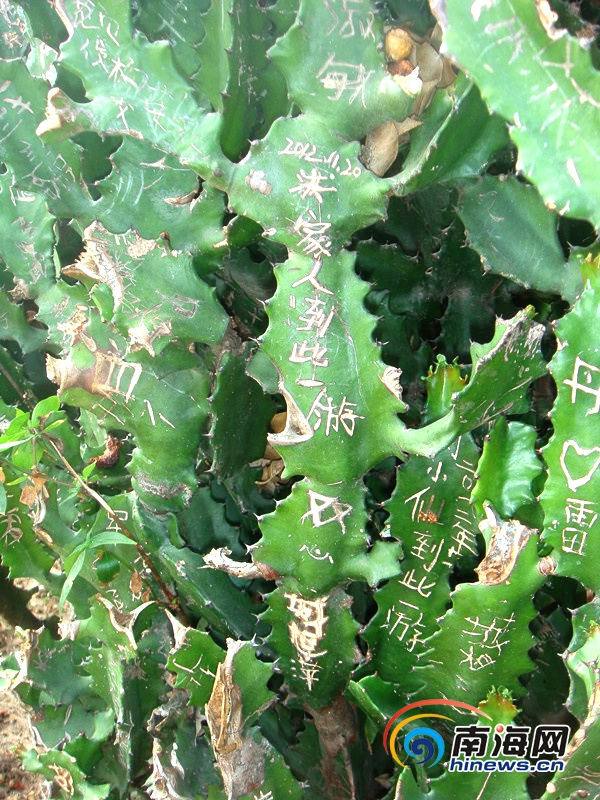 Many tourists were found inscribing the names on the plants at the Dadonghai Scenic Spot. 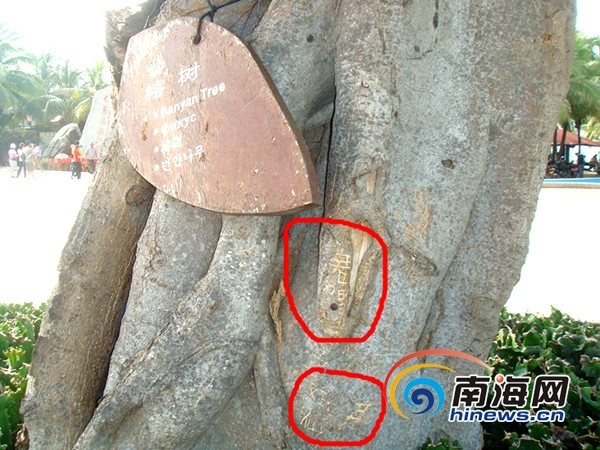 The beautiful tropical scenery and all-year-round warm climate have lured tens of thousands of domestic tourists to Sanya, but they have left locals and the public at scenic spots complaining about their uncivilized behavior. 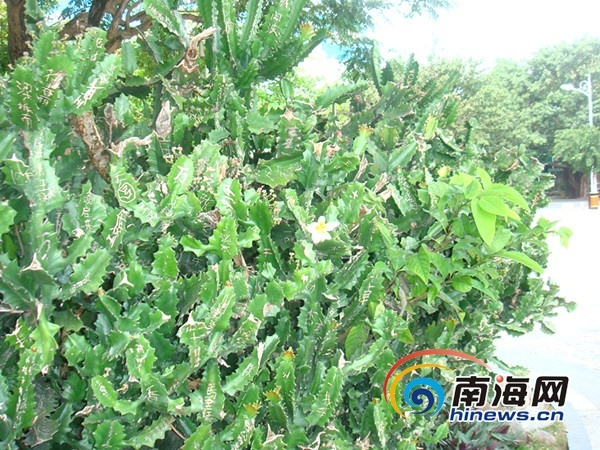 At the Dadonghai Scenic Spot, one of the most popular tourist attraction with tourists from home and abroad, many tourists were found inscribing their names on the plants at the spot, which they thought were wishing trees to express their best wishes. The cleaning workers at the site said they have placed several signs there to remind visitors of the behavior expected and intensified supervision as repeated calls in the past for good behavior simply have not worked. Other tourists who were enjoying the landscape and taking pictures there also said it was a disgusting scene and blamed such uncouth behavior on a lack of concern for public property and selfishness.